Enjoyed Organic Beauty Week and hungry for a little more green beauty goodness? Well you're in luck! 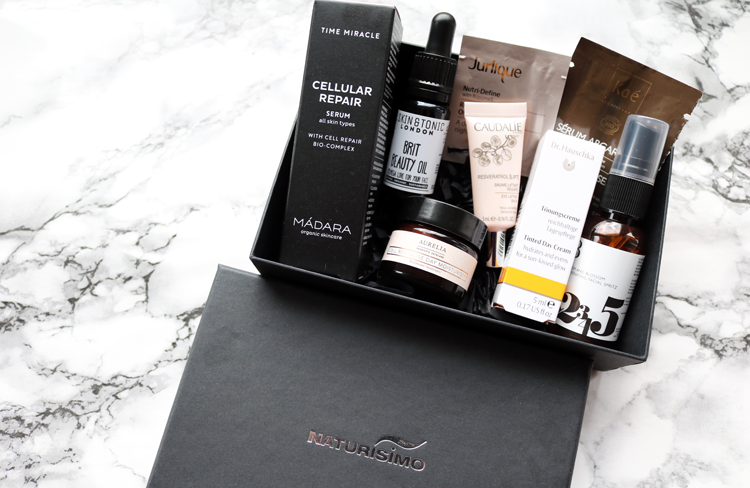 Naturisimo have just launched their latest Discovery Box which is filled to brim with luxury natural skincare. The theme of this limited edition, one-off beauty box is 'Science Meets Nature' and it's been curated by the expert team at Naturisimo to bring you some of the very best brands and products in the luxury skincare market. I always love seeing what they've chosen to go into the Discovery Boxes because they're a great way to try out some more higher end and expensive brands before deciding whether you want to splurge on the full-size products. This box is definitely more of an anti-aging skincare treat, however, if you are younger you could perhaps split the contents with your mum or a friend perhaps? As I'm nearer 30 than I am 20, I'm starting to look into more anti-aging products so this box is ideal for me. I've used a few before such as Madara Cellular Repair Serum (lovely as a night serum), Bloom & Blossom Rejuvenating Facial Spritz (really nice and refreshing), and Skin & Tonic Brit Beauty Oil (amazing, I have the full-size bottle - you can read my review here), so I'm most looking forward to trying out the Dr. Hauschka Tinted Day Cream and the Aurelia Cell Revitalise Day Moisturiser. If you've tried these, let me know what you think! Naturisimo Science Meets Nature Discovery Box* is priced at £13.95 with free worldwide shipping, and the contents are worth £67 - that's a bargain! 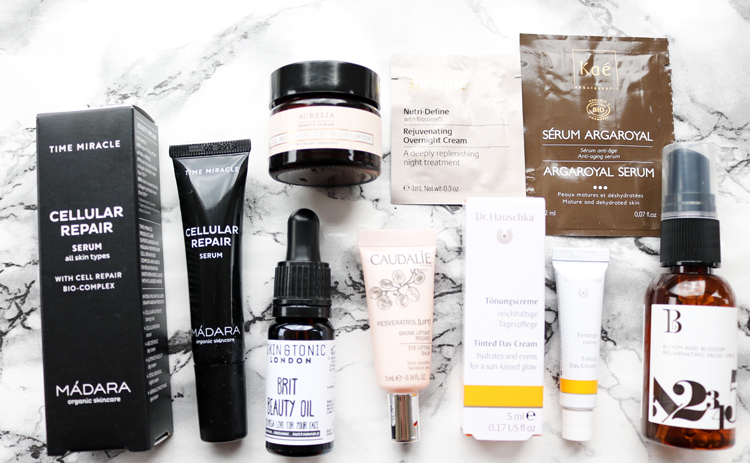 This is a one-off beauty box, so no subscription is needed. Exclusively available from naturisimo.com whilst stocks last. Will you be picking up this beauty box? I'm very tempted by this box, lots of excellent brands in there and what a brilliant price too! ENTER MY GIVEAWAY: Win A CaseApp Gift Voucher! I'm thinking about trying this box. Great bargain for the price.